Tis the season of goodwill to all employees… | MICHAEL DONALDSON Improving the performance of your business by improving the performance of your people, the profitability of your products and the productivity of your process. 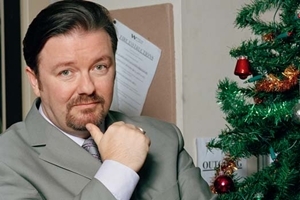 So why is it “64% of all employees would rather have a new Manager than a pay rise”? Yet, if as David McLeod (Engage for Success Task Force) suggests, there is still plenty to do in terms of employee engagement in lots of UK companies, given 64% of them would like a new Boss! Engagement is not only about increased communication, it’s about types of communication. Tata the global giant with over 300,000 employees, 70% of whom are under 30 years old, has recently replaced its annual employee wellbeing survey with its intranet social platform or should I say the employees (80,000 of whom log on daily) have chosen to use the latter to engage with each other and the management, that the former survey is no longer required. Engagement is not only about sharing information it’s about the what, when, and how of sharing information. Information needs to be timely, concise and most importantly relevant to their role within the context of the business objectives. Engaged individuals tend to take fewer sick days, stay with Companies longer, work not only harder but smarter, are more committed to achieving their objectives; find more innovative solutions to problems, and are more likely to use their own initiative to do a good job. People on the whole behave according to how they feel, so how do you make them feel better about their Company and Manager? In other words how do you change their behaviour? Well, in addition to improving the content and delivery of your Team Briefs, Notice Boards,Appraisals, Benefits and Staff Meetings, you can consider Problem Solving Groups, Staff Surveys, Innovation Circles, and for the more adventurous Managers, employee involvement in the decision making process. ‹ There’s still time to get online for Christmas.